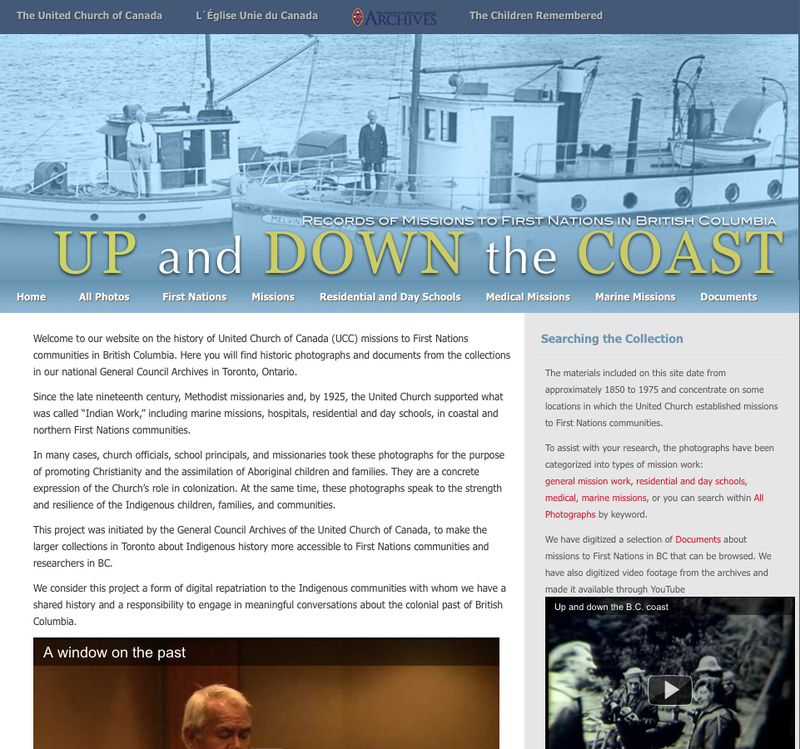 Website on the history of United Church of Canada (UCC) missions to First Nations communities in British Columbia. Here you will find historic photographs and documents from the collections in their national General Council Archives in Toronto, Ontario. It is a custom wordpress website with custom build photo gallery of 1723 historical photographs.